Our boyhood dream was to one day own one of these - a Ferrari F40. Image copyright Luke Hayes. The 250 GTO, Testarossa, F40 and Enzo. To some this will sound like gobbledygook, to others it will bring back memories of the stylish cars they lusted over in the hope of one day being able to afford one. 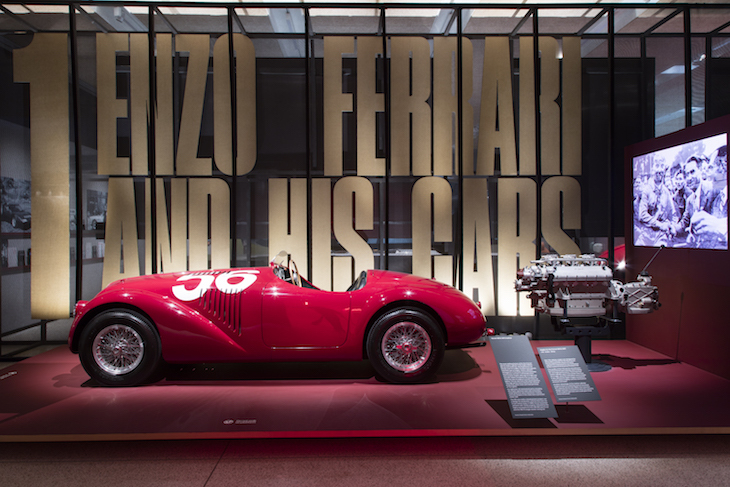 Ferrari has been in the business of making desirable cars for 70 years and to celebrate this milestone, it's the focus of an exhibition at Design Museum. 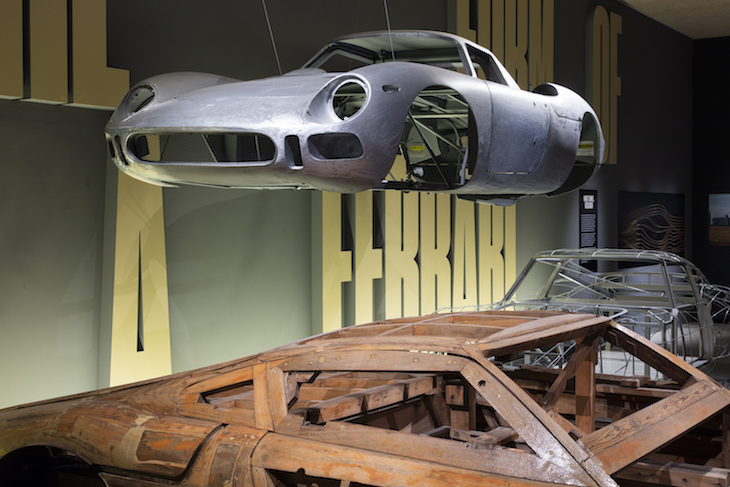 Ferraris from across the history of the brand are in this show. Image copyright Luke Hayes. The show starts off small with a bit of history on the founder, Enzo Ferrari, but in truth, we're here for the cars. The exhibition doesn't disappoint, with £140m worth on display. 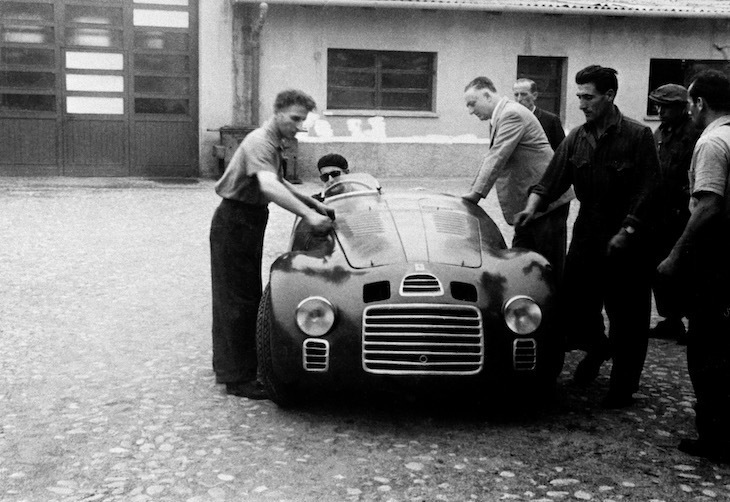 Enzo Ferrari with the very first Ferrari - the 125S. We learn about airflow, engine design, interiors and the famous people who've owned one. There's a chance to play with a steering wheel and try out the seats, but unfortunately there's no opportunity to get behind the wheel of any of the Ferraris. 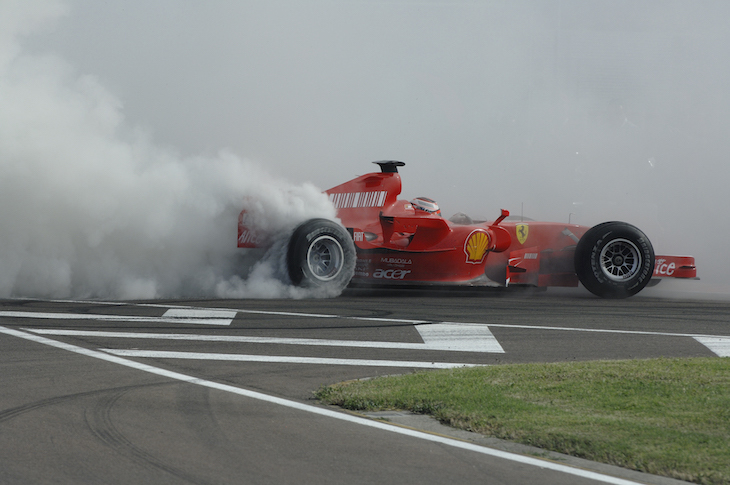 Kimi Raikkonen celebrating an F1 win with some tyre smoke. Ferrari is the oldest Formula 1 team with 228 race victories, so there's a section on racing pedigree, following the cars as they evolve around a banked curve, as if following one another on a track. It's a great format for highlighting the big leap in technology from the early cars to a modern Formula 1 machine. A history of racing along this banked curve. Image copyright Luke Hayes. A row of champions' helmets brings home the truth of how dangerous racing once was — the leather cap of Alberto Ascari affords very little protection compared to the carbon fibre helmet worn recently by Kimi Raikkonen. The design of the car is made using the help of clay sculpting as can be seen on the far side of this car. Image copyright Luke Hayes. 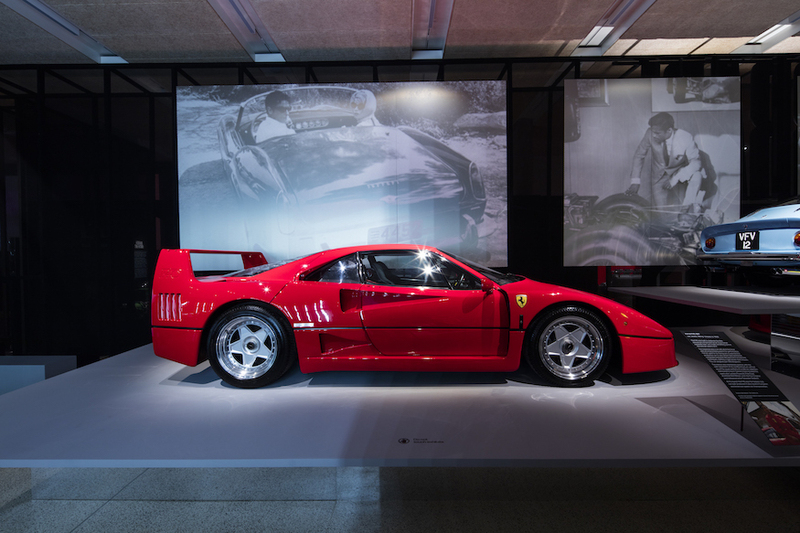 Beautiful cars can be found in every corner of this exhibition from the graceful curves of the 275 to the angular aggression of the F40. Standing guard at the exit is the most recent Ferrari, the LaFerrari Aperta. You might have to restrain yourself against the strong desire to jump in. A chassis is exposed to show how they look on the inside. Image copyright Luke Hayes. 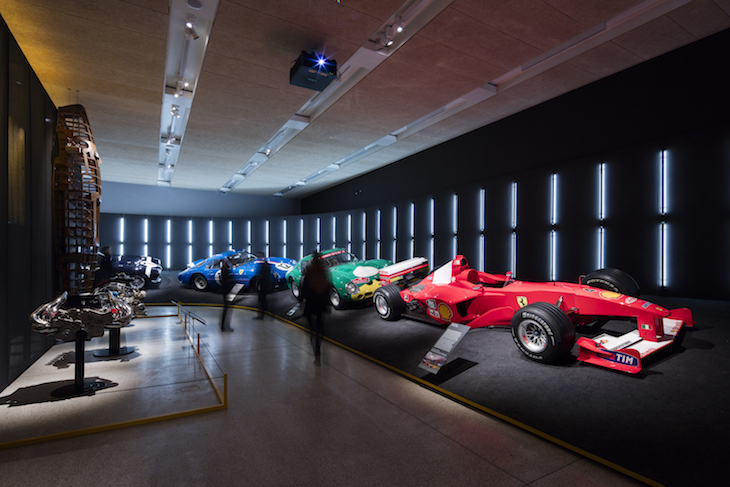 The Design Museum has tried to make this appeal to more than just petrolheads but in truth it's Ferrari fans who will get the most out of this exhibition. This show is unlikely to convert those who've never show an interest in the brand, but for people like us who grew up with a Ferrari poster on our wall it will re-ignite those dormant passions. 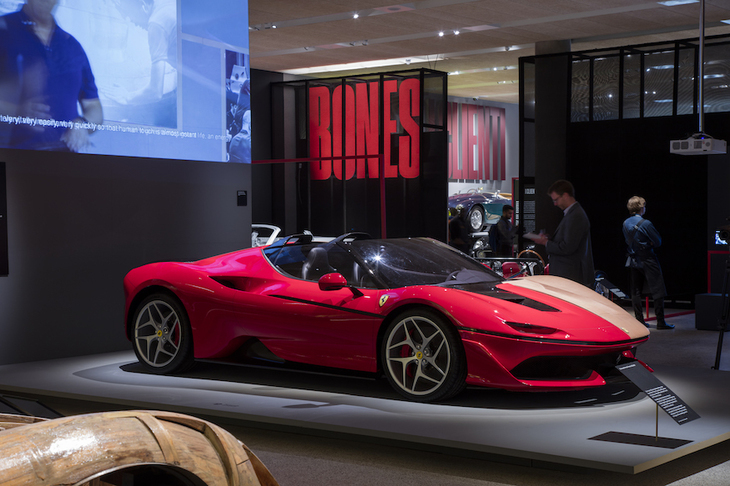 Ferrari: Under the Skin is on at The Design Museum until 15 April 2018. Tickets are from £18 for adults, advance booking recommended.